The major carriers in the US are set to offer the Samsung Galaxy S6 when it launches across the globe in April. There’s no exact detail available about the pricing of the handset, but it seems T-Mobile has revealed the pricing of the Galaxy S6 in their giveaways. As per the official rules in T-Mobile giveaway, the carrier mentioned the retail price of the handset to be $699. Although it doesn’t mention which model is it, but it’s possible the carrier is talking about the 32GB variant of the handset. If you’re interested in entering T-Mobile sweepstakes, check here to register yourself. 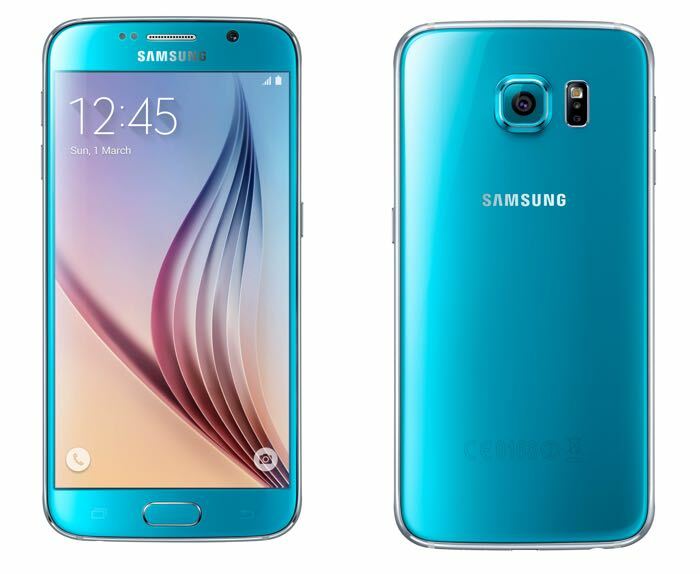 As far as the specifications are concerned, the Samsung Galaxy S6 rocks a 5.1-inch display sporting a resolution of 2,560 by 1,440 pixels, a 64-bit Exynos 7420 processor clocked at 2.1Ghz paired with 3GB of RAM and 32GB of internal storage. The handset also boasts a 16MP camera for photos and videos with optical image stabilization, a 5MP front-facing camera, a 2,550mAh battery to make sure you don’t run out of juice and ships with Android 5.0 Lollipop with TouchWiz UI on top of it. Anyone planning to pick up the Samsung Galaxy S6 when it launches? Sound off in the comments below.